kathy has decided to let the winner choose which plug-in system they'd like. visit the plug-in page to see the entire collection and visit the scents page to see all the scents and descriptions. so, what is Scentsy? for those of you not familiar - Scentsy offers a variety of decorative warmers with wax melted by the heat of a light bulb instead of a traditional wick and flame. so those of you with children - not only are they beautiful and fragrant - they are SAFE! 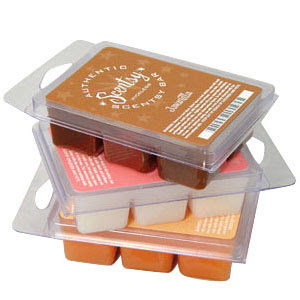 if your little one was to get near your Scentsy and stuck their finger IN the melted wax - it WILL NOT burn them! another safety feature is that the melted wax will never evaporate. meaning that you will never be 'burning' an empty dish! after multiple burns, the wax will no longer be as fragrant so just dump melted wax into the trash and throw another cube in the dish! once you're house is nice and fragrant, turn off the plug and it will harden up again! also - the scents they offer are AMAZING!!! my two favorites are camu-camu and coconut lemon-grass! if you like the smell of something - i guarantee they have something similar if not exact! you can purchase the scents in bar or brick form. the bar contains six cubes [for plug-ins, only one cube is needed for warmers 2-3 cubes] and the brick contains 10 larger cubes. 1. leave me a comment letting me know which warmer and scents you would choose! 1. go to kath's blog and follow her - come back and let me know you did! giveaway will be open until Aug. 10th and winner will be chosen by random.org! Annnnnnnd I'll mention this in my blog! But I like the Sand Dollar Plug In and Camu Camu scent. If I win, any other scent can be a surprise! I'll mention it on FB! I've never tried Scentsy, but I keep hearing about it, so it must be good stuff! If I won, I think I'd go with Taro from the Botanical Collection, oh, or maybe Brown from the Groovy Collection. OR Lime from the Dandy Collection! They're all really cute. I keep thinking of a perfect spot for each one! Camu Camu - since I've seen this mentioned twice now! Basically... they all sound good! I'm now a fan of Kathy's blog too! I would pick the Denim weave plug in with sugar, sugar and sugar bars. 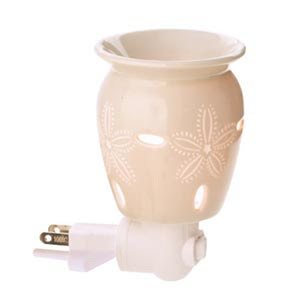 I LOVE the Taro Plug-In Scentsy Warmer..cute! Andddd for the scents..Lucky in Love, Cherry Limeade, and Cutiepie Cupcake please! I've never tried scentsy before! the seashells plug in would be perfect for my bathroom! I would pick cherry limeade, cranberry mango and havana cabana!! I'll take the Grotto plug-in, and Camu Camu, Cucumber Lime, and Sweet Pea & Vanilla. I am following Kath's blog. The warmer I love is The Boho Chic Full-Size Scentsy Warmer and I'd love to try The Cinnamon Cider scent. I am new to scentsy, but I keep hearing about them This would be a great way to get me started. I like the Lei warmer, and I like the scents: coconut lemongrass, black raspberry, and coconut palm. I love the nantucket mid size warmer and and autumn sunset scent! 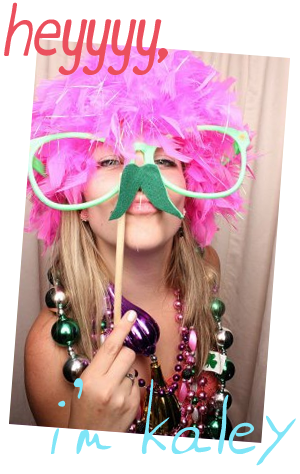 I follow kath's blog with gfc! I like the Riviera warmer and the plumeria scent.